Reliable Industries acquires obsolete, misprinted, overrun, and reusable corrugated cardboard boxes from a vast network of companies across the east coast. Obsolete cardboard boxes are new boxes that are no longer used by our suppliers due to changes in packaging size, design, or product obsolescence. Reusable cardboard boxes are boxes that were used by our suppliers and contained items such as plastic bottles or caps. You can expect these cardboard boxes to be just as clean and structurally sound as new boxes. The boxes we acquire and process are then made available for purchase to our customers. Because of the wide variety of cardboard boxes we recycle from our suppliers, Reliable customers are assured that any box they need will be low cost and high quality. Whether you need new, used, printed, unprinted, small, or large corrugated cardboard boxes, Reliable has them! Of course, when packing items in boxes, there is often a need to protect and wrap the items. To protect products, you may need bubble wrap or packing peanuts; and to seal or wrap your boxes, you may need tape, twine, or stretch film. Reliable can supply all of these packaging accessories at a much lower cost than most available sources. 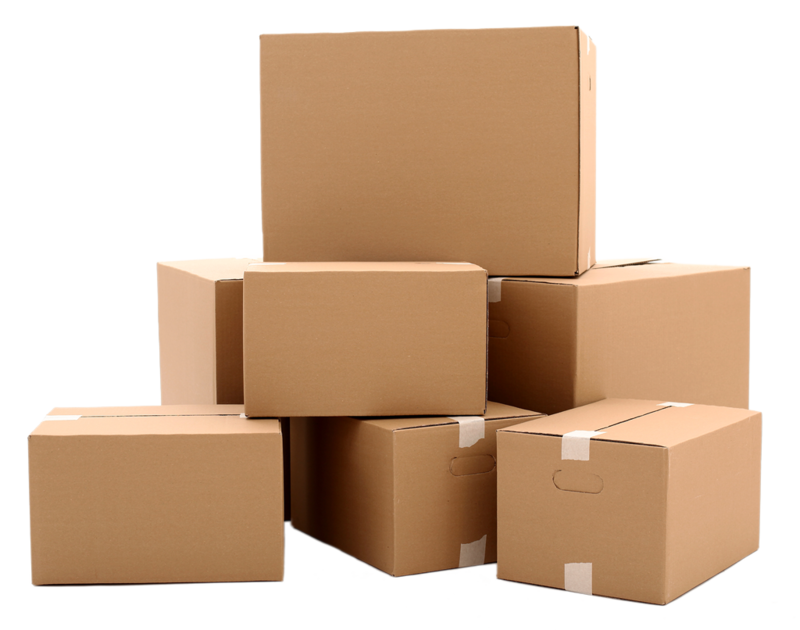 Obsolete, new and used cardboard boxes are available with or without printing to fit your needs. Do you need big shipping boxes for your extra-large or bulk quantity items? Reliable has new and used Gaylord boxes which fit on a pallet and measure approximately (L) 42-44” X (W) 36-38” X (H) 36-38”. There are various styles and sizes of these extra thick cardboard boxes including boxes with top and bottom flaps or boxes with bottom flaps only.